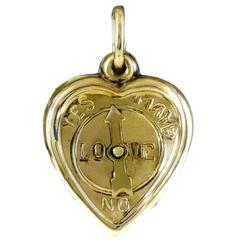 Large gold charm, 1 1/4" in diameter. 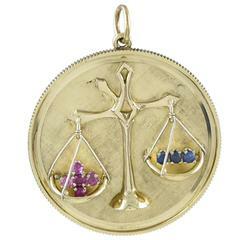 Shows the Scales of Justice, the symbol of Libra. 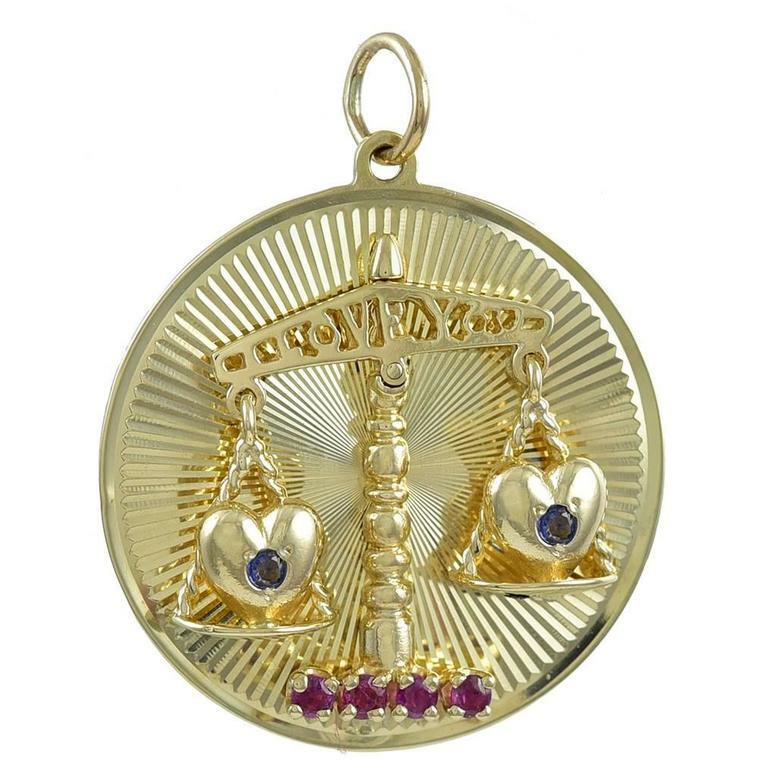 Librans seek equality, harmony, balance and partnership. 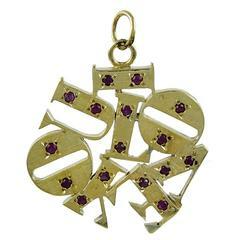 Set with rubies and sapphires. 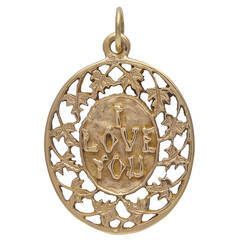 The top of the scale is inscribed "I Love You." 14K yellow gold. Most appealing. Alice Kwartler has sold the finest antique gold and diamond jewelry and silver for over forty years.